You can’t go wrong with a college degree. Look at these earning statistics. 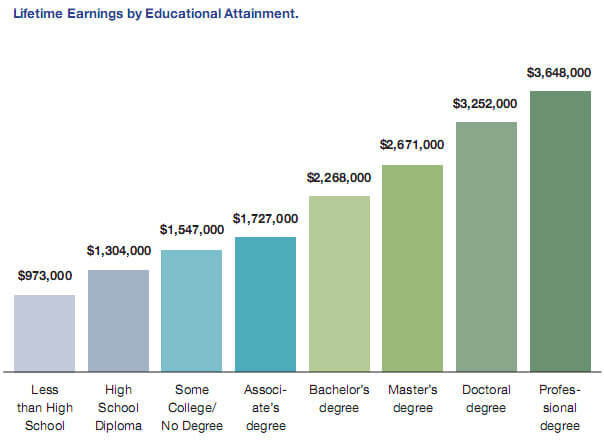 With an associate’s degree, that’s lifetime earnings over $500,000 more than a high school degree. 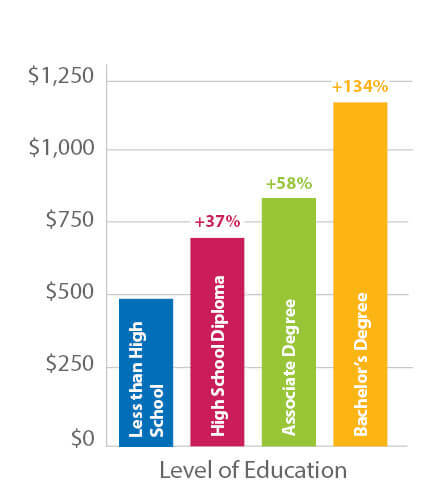 With a bachelor’s degree, that’s lifetime earnings of over $964,000 more than a high school degree. Three Rivers tuition is the lowest in the state. And that’s before financial aid. Financial aid reduces tuition for 67% of our students. Find out if you’re eligible. Learn about our degrees and certificates. Classes start August 28 so enroll now!